Wedding dress shopping can be both a pleasure and a pressure. With so much gorgeous selection, the pressure is definitely on to find ‘the one’ you’ll look and feel fabulous in. Add a trunk show into the mix, and we’re officially lost in the forest of wedding wilderness. 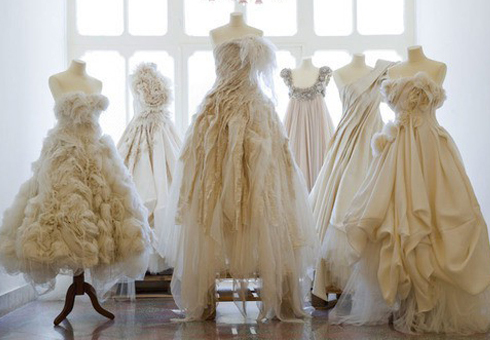 But fret not, we have here some expert tips to help you jumpstart your wedding dress hunting. A bridal trunk show is a special event wherein a dress designer (or representatives from the company) visits a bridal studio with an entire line of new bridal dresses. Sometimes, it’s only a one-day event, but for more popular collections, it could last up to a week. Oftentimes, the designers themselves, of the stylists from the Singapore fashion house will help find the right dress for you. However, you will have to set an appointment for gown fitting, since most trunk shows don’t cater walk-in clients. Why Do Bridal Boutiques Have Trunk Shows? Since most wedding studios only carry a few dresses from a selected group of designers, bridal trunk shows give brides the opportunity to see and try on wedding dresses that do not ordinarily see at that particular bridal boutique. If you happen to find a dress from a best bridal boutique in Singapore during a trunk show and still need a bit of time to think through it, ask if the boutique carries it even after the show. If it doesn’t, ask the designer which stores carry it or just buy it at once. When Are Bridal Trunk Shows Held? Call each bridal studio in your locale and ask when and if there are trunk shows schedules. Bridal trunk shows in Singapore are planned ahead of time, so boutiques should be able to provide you a list of schedule. These shows only last for a couple of days, and appointments get booked up quickly so make sure to call early. It never hurts to plan ahead. If it’s a trunk show of an unfamiliar wedding dress designer, the more you need to research. Check the brand’s website and see his or her designs. Advance research will help narrow down your choices and at least minimize confusion. Bridal trunk shows of popular designers fill up quickly, and although some studios cater walk-in clients, you’re sure to get undivided attention and have more pleasurable experience if the bridal boutique staff are expecting for you. Like any other retail outlets, bridal shops are usually crowded on weekends, so if you would like a relaxing experience while shopping for the dress of your dreams, go on weekdays. Trunk shows are busy events, so there isn’t much room for you to bring a lot of people. Bring your closest and trusted friend of family member who you know will give you the most honest feedback when trying on dresses. Bring the shoe, or wear the same heel height, you will be wearing on your wedding day. Likewise, wear whatever undergarments you’re planning to wear on the big day. For example, if you’re planning to wear Spanx, wear one to try on bridal dresses from Singapore. Conversely, do not wear any shaping garments if you’re not planning to wear one on your wedding—you want the fit and look to be as accurate as possible. Just because they come in hefty price tag, doesn’t mean they aren’t worth checking out. 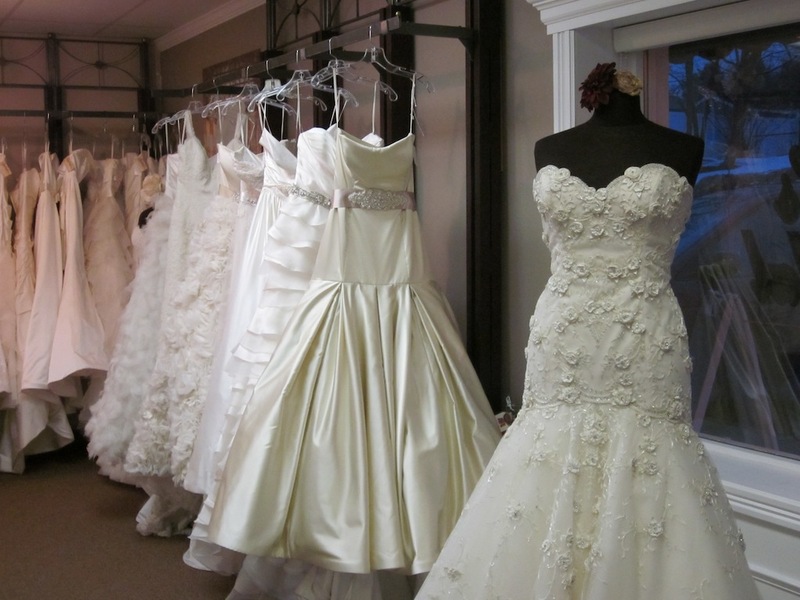 The gowns displayed at the front section of the bridal studio are there—and are priced as such—for a reason. Usually, these gowns are the best creations and the most in-demand dresses of the company. If you want to look divine on your big day, give these front liners a chance. They may be more expensive than the rest of the designer’s collection, but trunk shows often offer discounts and great freebies that you can take advantage of. Expect to spend hours looking at gowns and trying them on. Most Singapore designers send 15 to 30 dresses in a bridal boutique, and it usually takes a while to try on and get a good look at each of the dresses. Depending on the crowd, also consider that you may have to wait to try on a dress. No problem though as you can continue browsing and sip a glass of champagne while waiting for your turn. Be open-minded and trust the suggestions of your consultant. They know what’s flattering for every body shape and size, which designers specialize in the style you like, and they know what looks good. Go beyond your comfort zone and take their expert advice. Trunk shows usually offer special pricing and incentives for buying a wedding dress. The designer or the representatives often offer custom changes to gowns that are not in the bridal studio’s standard collection. Purchases made on the spot are also complemented with freebies, such as a free veil, shoes, or a matching bridal accessory. You can get great deals from bridal trunk shows so be ready to purchase if you decide to attend on one. Bridal trunk shows are the best places for finding great dresses. Not only these events feature majestic bridal gowns, they also offer the best opportunities for scoring a reasonably priced designer dress. And although trunk show dresses are not anywhere near cheap, the add-ons and discounts make the deal much easier for the pocket.